This note reports the preliminary element of a study of tourism development in Timaru, South Canterbury, New Zealand. Deriving from a research project entitled Regenerating for Success, tourism is used to illustrate how local efforts are being focused on ways of making regional settlements more attractive places economically, socially, culturally and environmentally. 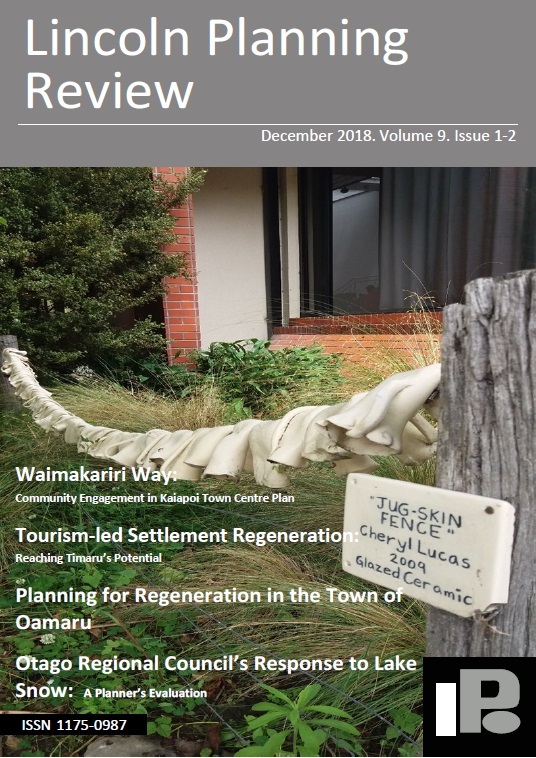 We situate our study in the urban and tourism-led regeneration literature and report secondary data and documentary analysis of the current situation with respect to tourism development in Timaru District.